* for Mr.Ando. It provide the C source code for unit testing. * Copyright (C) 2004-2005 Toshikazu Ando. # for Mr.Ando. 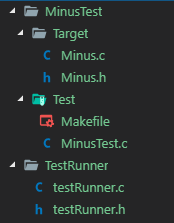 It provide the C source code for unit testing. # Copyright (C) 2004 Toshikazu Ando.